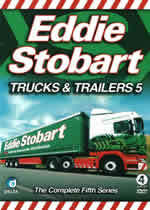 QUARRIES AND LORRIES - £16.95 : Becks Specialist DVDs - Rail DVDs, Equestrian DVDs, Pregnancy DVDs, Tai Chi DVDs, Tractor DVDs, Steam DVDs, Railway DVDs, Farm DVDs, Train DVDs, Fishing DVDs, Hunting DVDs & Painting DVDs. Focusing on the men and machines of the quarrying business, this DVD takes the viewer to three distinctive locations in order to showcase the ingenuity of the operators and the wonder of their vehicles. 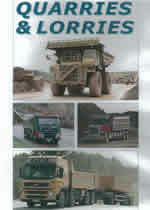 The first section is devoted to the business of limestone quarrying in the Mendip Hills of Somerset. It includes footage of heavy-duty off-road dump trucks feeding a giant crusher at the Hanson Whatley quarry and of local tipper operators hauling their loads. Also present in this section is an interview with a retired driver who provides insight into the life of lorry operators in the 1950s and 1960s. The second stop for the CP film crew is Ohio, USA. Here they follow the career of owner-driver Ray Chenault and his purple Peterbilt, meanwhile capturing some six- and seven-axle rigid dump trucks in the process. The programme ends in Sweden with a look at a brand new Volvo truck-trailer combination with a cassette swap-body system demonstrating its incredible load-carrying capacity.